Black Bottle Brewery - Mother Should I Trust The Government? - Saison w/tea - June 29th 5:30pm. Crazy Mountain Brewing - Lake Lake Wit w/Acai berries - firkin - June 28th. Copper Kettle Brewing - Smoked Juniper Golden Strong - cask - June 26th. Copper Kettle Brewing - Swingin' Utters Milk Stout - June 29th. Dry Dock Brewing - Dry Hopped Amber Ale - firkin - June 28th 3pm. Echo Brewing / Left Hand Brewing - Collaboration Saison - June 25th 4pm. 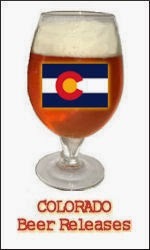 Epic Brewing - Escape to Colorado IPA - June 28th. Equinox Brewing - Cumilus Witbier - w/ginger - firkin - June 27th 1pm. Funkwerks - Saison with Asian Teas - bottle & draft release - June 27th 12pm. High Hops Brewery - Relay for Raspberries - Raspberry wheat firkin - June 26th 5pm. Kettle & Stone Brewing - Solstice Wheat - June 26th - Grand Opening. Kettle & Stone Brewing - Opening Day I.P.A. - June 26th - Grand Opening. Kettle & Stone Brewing - Freedom Stout - June 26th - Grand Opening. Left Hand Brewing - Operation Homefront IPA - June 28th 5pm. Lone Tree Brewing - Peach Tree Pale - June 26th. Mountain Sun / Porchdrinking.com - Hibiscus Witbier - collaboration - June 26th. New Belgium - Loft - Belgian pale ale - returns in Folly Packs - June. Our Mutual Friend Malt & Brew - Larimer St. Lager - CA common - June 26th 7pm. Pateros Creek Brewing - Double Pilsner w/star fruit + Motueka hops - June 17th 12pm. Renegade Brewing - 2nd anniversary small batches - 1-day only - June 29th 12pm. Twelve Degree Brewing - Summer Saison - June 25th - Inaugural beer. Twelve Degree Brewing - Walter's White - June 25th - Inaugural beer. Twelve Degree Brewing - Hommel - Belgian Pale - June 25th Inaugural beer. Twelve Degree Brewing - Biere de Garde - June 25th Inaugural beer. Twelve Degree Brewing - Tripel - June 28th. Wit's End / Renegade Brewing - Judge Whoppner - imperial brown w/malted milk - June 27th 6pm. Yak & Yeti - Chocolate Mint Porter - June 25th. Yak & Yeti - Strawberry Wheat - June 26th 4pm.